WEIRTON — Weirton police, with assistance from the West Virginia State Police, have arrested an individual in connection with a series of armed robberies in Weirton and Steubenville. According to officials with the Weirton Police Department’s Detectives Division, Dale Dante Alexander, 21, of Steubenville, was taken into custody in Follansbee. According to Police Chief Rob Alexander, Dale Alexander faces charges in connection with three robberies of gas stations in Weirton, as well as one robbery in Steubenville. “We had gotten hit multiple times,” Chief Alexander said. The robberies began early Oct. 13, when police in Weirton were alerted to calls of a robbery at the 7-11 convenience store and gas station on Pennsylvania Avenue. While investigating that incident, police were notified of a similar report at the Sheetz on Three Springs Drive. The Speedway, located at 2619 Sunset Blvd. in Steubenville, was robbed Oct. 20. The final robbery took place around 5 a.m. Oct. 27 at the BFS gas station on Freedom Way in Weirton. In each incident, witnesses described a black man, wearing either a shirt or bandana over his face, entering the establishment, with a handgun, and taking an amount of cash. Upon interviewing him, Dale Alexander reportedly admitted to committing all four robberies, according to police. “My detectives did an excellent job,” the chief said. 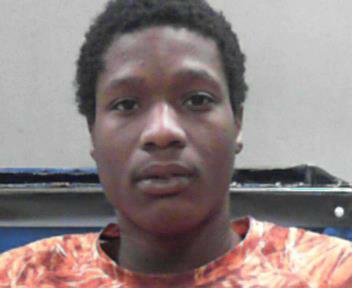 Alexander faces two counts of robbery and attempted robbery, both with a weapons specificiation, according to records with the West Virginia Northern Regional Jail. No bond had been set as of Wednesday afternoon.